Humanitarian Invasion is the first book of its kind: a ground-level inside account of what development and humanitarianism meant for a country touched by international aid like no other: Afghanistan. Relying on Soviet, Western, and NGO archives, interviews with Soviet advisers and NGO workers, and Afghan sources, Humanitarian Invasion forges a vivid account of the impact of development on a country at the heart of the Cold War. The book argues that Afghanistan functioned as a laboratory for the future of the Third World nation-state. If, in the 1960s, Soviets, Americans, and Germans sought to make a territorial national economy for Afghanistan, then later, under military occupation, Soviet nation-builders, French and Swedish humanitarians, and Pakistani-supported guerrillas fought a transnational civil war over Afghan statehood. 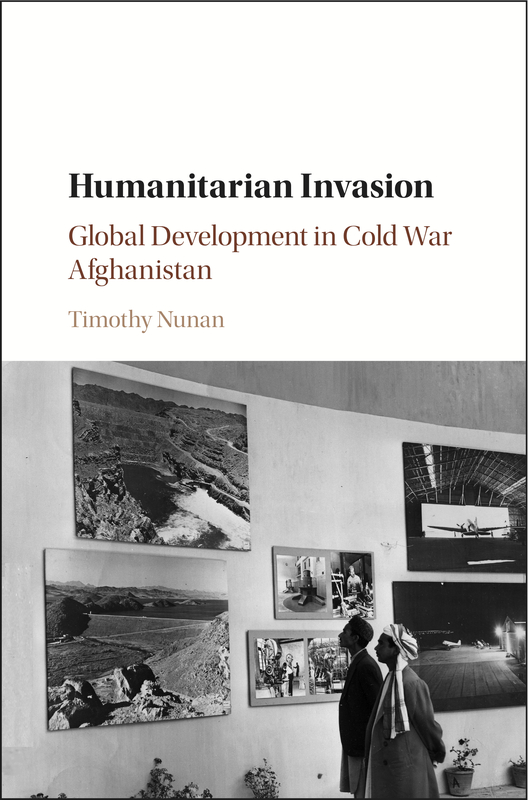 Covering the entire period from the Cold War to Taliban rule, Humanitarian Invasion seeks to make a major contribution to the writing of international and Cold War history. It appeared in January 2016 with the Global and International History Series of Cambridge University Press. Podcast with Christian Peterson (Ferris State University) for New Books Network (April 8, 2016). “Graveyard of Empires? Writing the Global History of Development in Afghanistan” (Short Synopsis of the Book), Imperial & Global Forum (March 15, 2016). Author Interview with Cambridge University Press (February 17, 2016). Video of Author Lecture at the Tamiment Library and Robert F. Wagner Archives, New York University, (February 16, 2016). Written between 1937 and 1945, these works articulate Schmitt’s concerns throughout this period of war and crisis, addressing the major failings of the League of Nations, and presenting Schmitt’s own conceptual history of these years of disaster for international jurisprudence. For Schmitt, the jurisprudence of Versailles and Nuremberg both fail to provide for a stable international system, insofar as they attempt to impose universal standards of ‘humanity’ on a heterogeneous world, and treat efforts to revise the status quo as ‘criminal’ acts of war. In place of these flawed systems, Schmitt argues for a new planetary order in which neither collective security organizations nor 19th century empires, but Schmittian ‘Reichs’ will be the leading subject of international law. 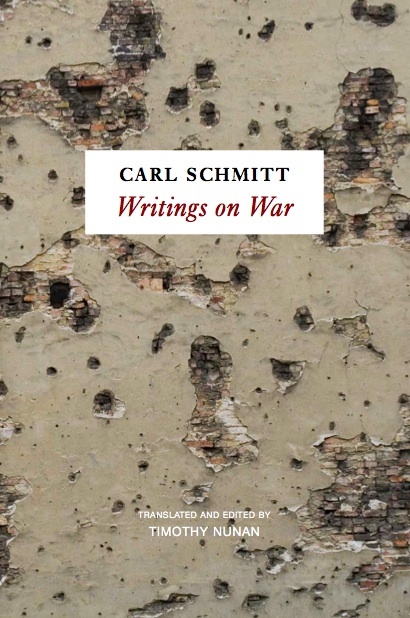 Writings on War will be essential reading for those seeking to understand the work of Carl Schmitt, the history of international law and the international system, and interwar European history. Not only do these writings offer an erudite point of entry into the dynamic and charged world of interwar European jurisprudence; they also speak with prescience to a twenty-first century world struggling with similar issues of global governance and international law.